Former Mythbusters' star Jamie Hyneman is stepping back in front of the camera to support the Ports of Los Angeles and Long Beach’s Clean Air Action Plan (CAAP), a joint effort to reduce pollution at the country’s two busiest ports. As part of his support, Hyneman is partnering with Cummins Westport to promote CAAP and the company’s efforts to reduce emissions on its own. Cummins Westport needed someone to communicate the company’s emissions reduction efforts, which were continuously being overshadowed by other technological advances, explained Rob Neitzke, president of Cummins Westport. A Columbus, Ind., native, Hyneman shares his hometown with Cummins, creating an affinity for the brand he now represents. 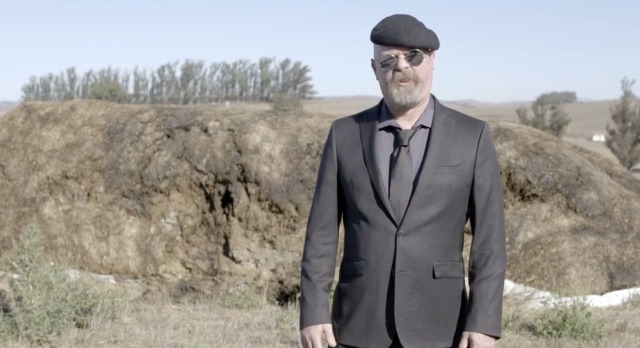 Hyneman released a YouTube video for Cummins Westport, which, with the help of a cow named Bessie, explains the production of renewable biogas from animal waste. The video goes on to explain how Cummins Westport developed internal combustion engines that run on this renewable biogas. "I'm proud to partner with Cummins Westport on their commitment to develop the cleanest engines on the planet," Hyneman said. "Not only are they clean-burning but the fact that they can be used with renewable natural gas produced from organic waste means we are helping to keep methane, one of the world's most potent greenhouse gases, from reaching the atmosphere." Aside from his stint on Mythbusters, Hyneman is also a special effects expert, entrepreneur, innovator, and patent holder. “Given his influence and passion for clean energy, the partnership seemed like a great fit,” Neitzke said. The Clean Air Action Plan, approved by the Harbor Commissioners in November, sets goals to reduce port-related emissions of NOx by 59%, Sox by 93%, and diesel particulate matter by 77% for 2023. It also aims to reduce greenhouse gas emissions from port-related sources by 40% below 1990 levels by 2023 and 0% below 1990 levels by 2025. In addition to advocating for CAAP and representing Cummins Westport, Hyneman helped open Soletair, a regenerative electric power plant that produces synthetic fuels, in June of this year. In conjunction with Finland’s Lappeenranta University of Technology, Hyneman’s plant produces renewable fuels and chemicals from carbon dioxide in the air. LUT made Hyneman an honorary doctor of the program. Hyneman will take part in select appearances at Cummins Westport events throughout 2018.